Blizzard Entertainment has announced a launch date for the next World of Warcraft expansion, Battle for Azeroth. The expansion will be released on August 14 and is currently available for pre-order. The standard edition of the latest WoW title is priced at US$49.99 and there is also a digital deluxe edition available for US$69.99. Although the gaming world seems to be ruled by titles such as Fortnite and PUBG at the moment, World of Warcraft (WoW) is still going strong, too. The original MMORPG was released in 2004, so the fact that there is a new expansion coming out later this year is testament to the game’s enduring popularity. Twelve million people subscribed to the game at its peak, and there are still millions of WoW subscribers out there. With the Battle of Azeroth’s release on August 14, Blizzard is demonstrating its continuing commitment to the game’s legions of fans. Features in the upcoming expansion include an increase in level cap from 110 to 120, new kingdoms to explore (Zandalar for the Horde and Kul Tiras for the Alliance), islands to be plundered, a 20-player cooperative Warfront mode, a handful of new Allied Races, and a resource called Azerite to help customize armor. It seems Blizzard has incorporated enough original content to keep any diehard WoW fan satisfied. The expansion is available for pre-order now and will be officially released on August 14. The standard edition will cost US$49.99 and the digital deluxe edition costs US$69.99. 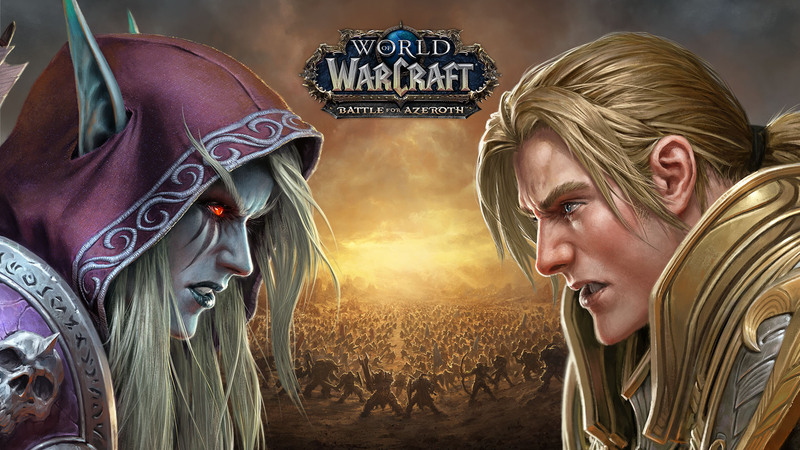 Gamers who pre-order Battle for Azeroth will receive a level 110 character boost.